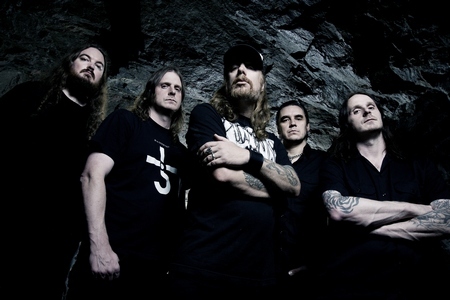 It’s clear that At the Gates is a band that needs no introduction to any fan of metal. After their swansong Slaughter of the Soul was released and the band called it quits, it only furthered their legacy. 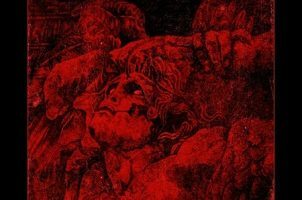 Cited as an influence by thousands of bands in modern times, the impact At the Gates and Slaughter of the Soul had on the world is quite well documented. Back in 2008, the band decided to re-unite and do some touring. Well, more touring led to more touring and ignited the creative sparks that would eventually lead to soon to be released At War With Reality (even if they denied wanted to do a new album since the reunion back in 2008). To say that At War With Reality is one of 2014’s most widely anticipated albums is a gross understatement. Long-time fans await with fervor to see how the band has aged. Even passing fans of the band in their prime are curious to see if they can match their legendary works, and the youngsters, who may only be familiar with the band through their cited influence on the current metal crop, are no doubt waiting to see what all the fuss is about. With all this in mind, given the opportunity to interview guitarist Anders Björler was met with a definite excitement. After all, who would have thought anyone would be interviewing At the Gates about a new album in this day and age. 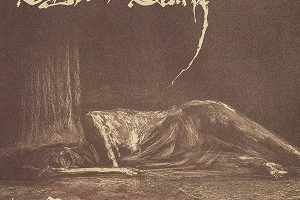 Read on for Anders thoughts on the new album, the legacy of Slaughter of the Soul, and how the scene has changed over the last twenty or so years. Dead Rhetoric: After saying for years that there would not be a new album, what made you change your minds? Anders Björler: I guess everything started from the reunion in 2008. Ending on a high note in Athens, Greece. We were very overwhelmed and blown away by everything that year. The thing that struck us was that we didn’t have time to play all of the continents, like Australia or South America so that’s why we continued in 2011. The tours over the following years made us miss the creative part and actually writing songs. It’s a big part of you as an artist, just writing music together. That was something we wanted to re-experience. Dead Rhetoric: You were the one that initially started writing new material, last summer correct? Björler: Yes, I finished my solo album in April/May and having that outlet for progressive/atmospheric style, I guess I just wanted to write metal again. I had Tomas and At the Gates in mind when writing and the first song was “The Book of Sand (The Abomination).” I sent it to Tomas and Jonas first to get their reaction and things moved from there. Dead Rhetoric: When you were writing it, based on what all of you had said, did you think it would even result in a new album? Björler: I guess we felt that after 2-3 songs. In the beginning, it was mostly Tomas and myself working on it. We spoke every day. We were so inspired, it felt like going in a time-machine to 1991-1992, experiencing that youthfulness and inspiration and being in that position. It was also a big secret; no one knew about it. Maybe 20 people in the whole world knew we were doing the album. But the step to make the album wasn’t that hard, we felt we had 2-3 very good songs and just continued writing throughout last year. Dead Rhetoric: So it was purposeful that you had completed much of the writing of the album before you even announced its existence? Björler: Yeah, we had the whole album when we announced it. This time we were very very safe. It was a big deal to the world, following up Slaughter of the Soul and the whole legacy there, but it was also a very big deal for ourselves. We wanted to make the best goddamn album we could. We have been so meticulous and so careful about every little detail in the whole thing. When the album was done, the announcement, demos, mixing, photo sessions, choosing a video, the album artwork; everything is so important to us. We’ve learned from history in many ways to make the right decisions and plan ahead of time. It’s something we’ve learned from all our previous bands. Dead Rhetoric: Some of the band has talked about the internal pressure that you’ve placed on yourselves for this record, as opposed to the public/fan pressure. Does it feel like a different type of stress than with your earlier records? Björler: I didn’t have any stress personally, I think it was due to the fact that we didn’t tell anyone and it was secret. That made it kind of stress free. Also, Tomas and my relationship in the writing arrangements were very inspiring, and actually helped to relieve the stress. If there was stress, we talked about it. Every day wasn’t all about writing songs, some days we talked about other stuff. It was a very fun experience. For me personally there was no real stress; I knew within my mind that I could do this. I felt very early on that we had a pretty good record going and I was inspired by that to write new songs. Dead Rhetoric: Along those lines, as you get older as a band, music isn’t the entire focus anymore, it’s just once piece of your life. Would you agree with that statement? Björler: When we started the band, I was like 16 years old and we were part of a musical revolution. Death metal was something new, and this secret society almost. It was a big, big part of our lives then. Metal music was some sort of a rebellion, and it was so important on a whole other existential level. Today it’s more just about hanging out, having fun, playing for a lot of people, traveling the world, and enjoying the benefits of everything. We are very fortunate to be where we are today and we are overwhelmed by all of the interest there is still in the band and humbled to be considered a legendary band. But a big decision that we have made is that this is our spare-time thing for us. We all have our day jobs and all want to make that move onto a career or a job. Music should be separate. It’s art; we should be doing it on our spare time and not let it dictate our economy. That means that we don’t want to be forced to take a show just to pay the rent. We all have families, kids, and day jobs and we want to do this as a bonus thing in our lives right now. Of course we play as much as possible, but it’s just going to take a longer period of time to cover the continents, that’s all. 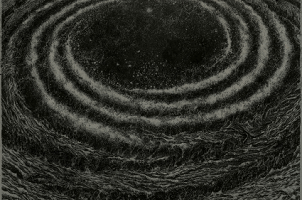 Dead Rhetoric: There are a number of really gloomy, melancholic melodies in At War With Reality. It’s still an aggressive album, but would you say it’s a bit more somber than Slaughter of the Soul and more akin to say, With Fear I Kiss the Burning Darkness? Björler: Some passages, yes. For me personally, that was something I wanted to rediscover, especially the sometimes weird and melancholic style of our old guitar player Alf Svensson. I enjoy those kind of ideas very much. Not that all the songs are perfect or anything, but they are full of that youthful enthusiasm. Especially for me personally, I wanted to rediscover the gloomy, melancholic, and dissonant side. I think it goes along perfectly with Tomas’ vocals and lyrics. Slaughter of the Soul was a time-piece as everything else. We listened to Reign in Blood, Trouble, and we came back from a European tour in early 1995 and had a bad experience, owing a lot of money, being poor and young. Slaughter of the Soul was more like a frustration/aggression and we wrote it in like two months so it’s very much a symptom of that. 19 years later, we are balanced and more mature, I guess we are better musicians, and my driving force was to rediscover the melodic side.